If you are looking for yoga classes in New York or New Jersey, there are so many places to choose from. How do you know which one is right for you? It pays to investigate – it is your money and time, after all. To make things a little easier, my latest post is about all the things that make L’ifestyle Lounge the best choice for yoga, if you’re in Closter, NJ or thereabouts. And I’m also including some fun trivia you may not know! 1) We are a body-positive, gender/LGBTQ-inclusive, age-inclusive, body-inclusive space. Going to yoga can feel so intimidating for some. We get it. We want you to feel at ease the minute you step into our studio. We want you to love your body and we’ll never encourage you to change it. We don’t believe yoga is only for skinny, young women. We have classes for young boys and girls and their parents, for teens, for beginning yoga students, for experienced beginners, for advanced. Yoga has something to offer us all and that’s what makes it so powerful. We are also always open to suggestions so if you see a need for a certain type of class in our schedule, let us know about it! 2) We will be celebrating our second year this March. Can you believe time has gone by so fast? 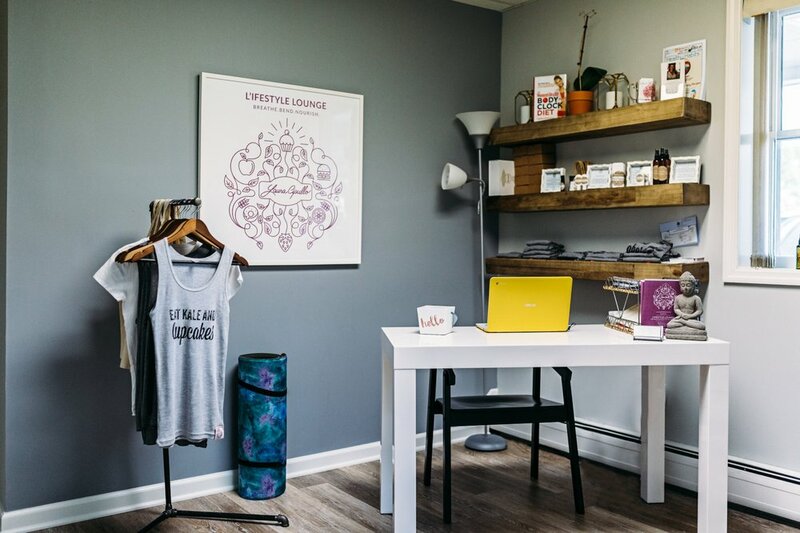 In March 2017, we opened our doors to the Closter, NJ yoga community and what a fun ride it has been so far! 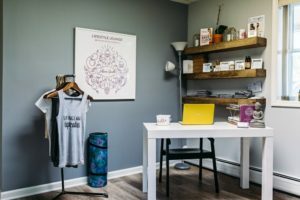 We are proud to be a studio that brings together nutrition counseling, yoga and mindfulness for a full wellness experience, and we’re just getting started. 3) You will not find mirrors in our studios. This is part of our commitment to being a place where everyone is welcome and feels comfortable. 4) We run a regular, free book club. Even if you are not taking classes with us, we encourage you to come to our club for warmth, new ideas and community. We have it every few months, and you can always see our next one on our scheduling page. This month, we are reading Beautiful Boy by Nic Scheff on January 23. 5) Our space is 1800 square feet. See some photos of it here. 6) You can drop in or join us for an entire semester. We are flexible with your schedule! 7) We recently introduced tai chi to our offerings. Find out more about tai chi in this blog post. Right now we’re in the last few weeks of our 8-week tai chi sessions with Phillip Cross, who studied with Master Randy Elia at Peter Kwok’s Kung Fu Academy. Check our site regularly to see when we’ll be offering a new round of classes. 8) As you can probably already tell, we’re not just yoga! We also offer mindfulness classes, nutrition appointments, tai chi as mentioned, and physical therapy. We fit a lot under one roof! 9) You can purchase clothing with our philosophy – “eat kale and cupcakes.” on Project Heal, which was created so folks could have access to eating disorder treatment without money being a barrier, and also at our studio. 10) Our founder, Laura Cipullo, has written a number of books on yoga, nutrition, diabetes, and kids. Find them all here. 11) We’re very active on social media! We do daily updates on Twitter, Facebook and Instagram. Comment, like, follow and share! 12) We are frequently called upon for our nutrition advice in the media and to speak at events. Here is just a partial list. If you are a journalist or want to request our services for speaking, contact us at laura@lauracipullo.com. 13) We offer online resources for free, like our Mindful Meal Log and Comfort Cards. Download them here! 14) We have a regular newsletter. Fill out the subscription form when you log in to lauracipullo.com. Subscribe to stay in the know. 15) Some of our yoga classes incorporate essential oils and painting, such as Paint and Poses and EmpowerHER. 16) We’re a great spot for birthday parties! If you’re looking for a special idea for your child’s next party give yoga a try. It’s fun and will help them better deal with stress! (Kids can get stressed too.) It might even encourage a lifelong habit of yoga. 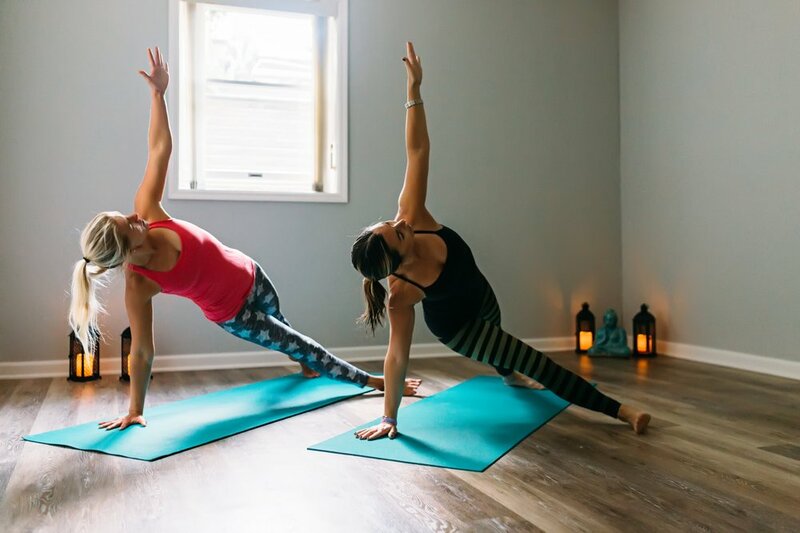 I hope you learned at least one new thing (or maybe a few new things) about our studio, and I hope you’ll join us in 2019 for yoga, mindfulness, and fun!